Marseille France has many interesting tourist attractions, museums and famous city landmarks. Located on France's Mediterranean coast, Marseille is the country's largest port and one of its oldest cities. The Vieux Port area has many historical buildings and places of interest. 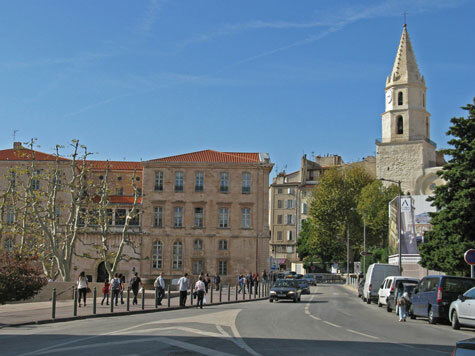 There are many good hotels in the centre of Marseille and throughout the metropolitan area. Many tourists to France begin their southern France or Riviera vacation in Marseille France. Popular tourist destinations to the east of Marseille include St-Tropez, Cannes and Nice France. The Port of Marseille is a port-of-call for many Mediterranean cruises. The Marseille train station is the departure point for rail service to cities in France. High-speed TGV trains travel between Paris and Marseille in just three hours. The Aéroport de Marseille Provence, located in Marignane France, is a major airline hub for flights to African and European destinations.